NZ time: Sat. 20 Apr, 03:23p.m. We’re a big team of extremely passionate people who GO further in every way to make your NZ Car Rental a success! Your journey is the most important thing to us and we promise to give the best rental car experience you’ve ever had! We promise you exceptional service, hospitality and an awesome fleet of rental cars for all budgets! We’re 100% dedicated to making your car hire adventure, or your mission from A to B, a roaring success. We’re not just about the destination. We’re all about the journey. We have 5 car rental branches spread evenly throughout New Zealand, in the major destinations of Auckland, Christchurch, Wellington and Queenstown, so that you’re never far from a GO rental car. Renting a car in New Zealand couldn’t be easier when you hire with GO Rentals. We’re one of New Zealand’s largest independent car rental companies and whether you’re renting with us for the first time or you’re one of our loyal returning customers, we promise you the same level of excellent service every time. You can browse our website and check out our huge range of modern rental cars, including the exclusive all-new Hyundai Santa Fe. You can also explore some of our fantastic trip planning resources, helping you to make the most of your time in New Zealand. We’ve made it as easy as possible for you make your New Zealand rental car booking online, however, we’re always happy to pick up the phone so make sure you call us on our toll-free number if you have any questions about our hire cars, our terms and conditions or anything else. Please contact us and we will be more than happy to get back to you. Here at GO Rentals, it’s about much more than the destination...it’s all about the journey. Visitor experience is extremely important to us. From booking online via our website, to pick up and drop off, we have worked hard to make every part of our customer journey one that ensures an awesome experience when travelling in New Zealand. 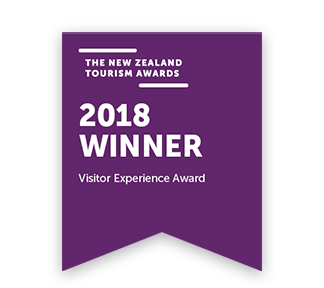 In 2018, we were delighted to be announced as the winner of the Visitor Experience Award at the annual New Zealand Tourism Awards. Couple this with our amazing customer service and you’ve got a winning combination when it comes to renting a car here in New Zealand. In 2018, we were also awarded the Canstar Blue Most Satisfied Customers Award in the Hire Cars category. We are very proud to have won this award with a perfect set of five-stars across all six categories. It is rare for any brand to receive perfect scores across all surveyed categories. Come and experience the GO Rentals difference - book your rental car with us today. Here at GO, we’re proud to offer some of New Zealand’s most competitive hire car rates. Whether you’re after one of our super spacious 4x4s or maybe something a bit more economical, we’ve got some great deals. When you book direct with GO, you guarantee our excellent customer service from the first contact right through to dropping off your keys. With unlimited kilometres, free AA roadside assistance and our awesome GO Play discount card, it really pays to rent with GO.